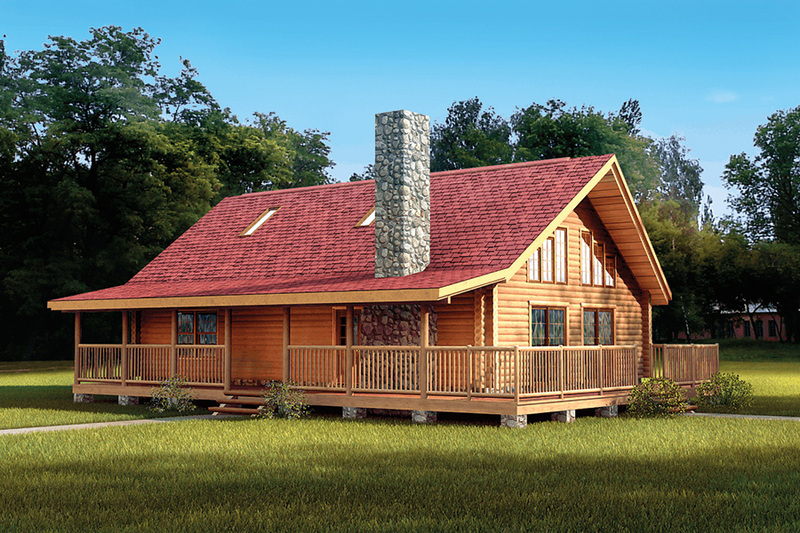 The Alpine is a picturesque 3-bedroom home with a wrap-around porch and features galore inside. The popular open-concept great room has an impressive large stone fireplace, visible from the inside and out, and a fully timbered cathedral ceiling. The master bedroom has its own private walk-in closet and master bath large enough for the hot tub you’ve always wanted and a double sink. 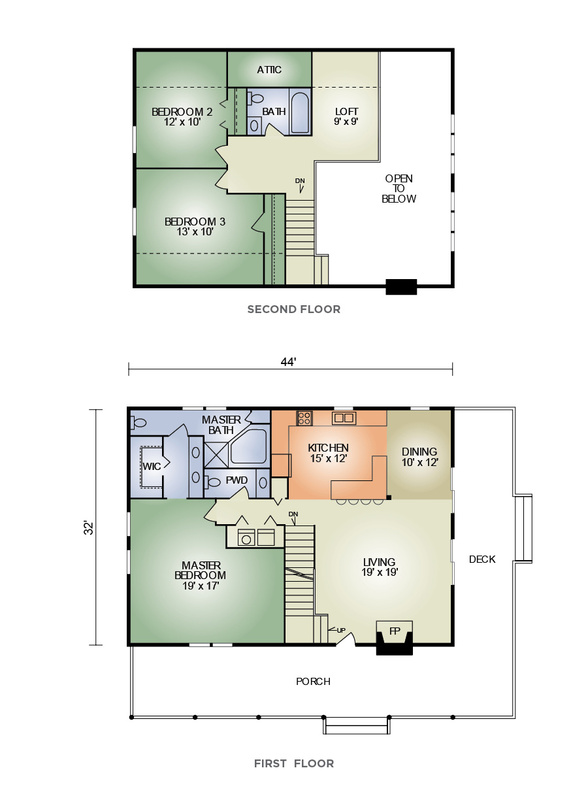 Upstairs, there are two spacious bedrooms and a bath with a separate dressing area and double sink. The loft is perfect for an entertainment center and offers a dramatic view of the dining area and great room below. The Alpine offers lots of living in a practical and economical design.